Pain from inflammation, something most people experience at some point in their lives and a common daily occurrence for many people with arthritis, involves the enzyme cyclooxygenase (COX). COX is an enzyme that forms prostanoids—prostaglandins, prostacyclins, and thromboxanes—which are all responsible for the inflammatory response. But it turns out that COX isn't all bad; it's even necessary for normal cellular processes. Nonsteroidal anti-inflammatory drugs (NSAIDs) affect COX to reduce inflammation. While they often do this successfully, some may negate some of the positive effects of COX in their efforts. In the 1990s it was discovered that there are two forms of the cyclooxygenase enzyme: COX-1 and COX-2. The latter is the one responsible for inflammation. COX-1 is known to be present in most of the tissues in our bodies. In the gastrointestinal tract, COX-1 maintains the normal lining of the stomach and intestines, protecting the stomach from the digestive juices. The enzyme is also involved in kidney and platelet function. COX-2, on the other hand, is primarily found at sites of inflammation. Both COX-1 and COX-2 produce the prostaglandins that contribute to pain, fever, and inflammation, but since COX-1's primary role is to protect the stomach and intestines and contribute to blood clotting, using drugs that inhibit it can lead to unwanted side effects. Nonsteroidal anti-inflammatory drugs (NSAIDs), commonly prescribed to treat many types of arthritis, work by inhibiting prostaglandins. Traditional NSAIDs, like Motrin (ibuprofen), aspirin, and Aleve (naproxen), while effective, can cause gastrointestinal problems including ulcers because they're non-selective, meaning they inhibit both COX-1 and COX-2. The inhibition of COX-2 by traditional NSAIDs is helpful to reduce inflammation, but the downside is that the inhibition of COX-1 can lead to side effects such as gastrointestinal bleeding since the enzyme is blocked from being able to perform its protective function in the digestive tract. Because of this and similar effects, they're not recommended if you have or have had stomach ulcers, asthma, high blood pressure, kidney disease, or liver disease. In the late 1990s, drug companies developed several NSAID medications that also inhibit prostaglandins, but target only COX-2. The goal of these NSAIDs is to reduce pain and inflammation without losing the protection of COX-1 in the gastrointestinal tract, leading to fewer side effects. These medications, known as COX-2 inhibitors, were Celebrex (celecoxib), Vioxx (rofecoxib), and Bextra (valdecoxib). Of these, Celebrex is the only COX-2 inhibitor that remains on the market in the United States. Vioxx and Bextra were both withdrawn from the U.S. market due to the potential for increased risk of heart attack and stroke. Since the withdrawal of Vioxx in 2004, the U.S. Food and Drug Administration (FDA) scrutinized the entire class of drugs, including all NSAIDs and COX-2 inhibitors that were sold over-the-counter or by prescription, and added warnings about cardiovascular risks to the prescribing instructions and/or drug labels. Two other COX-2 inhibitors, Arcoxia (etoricoxib) and Prexige (lumiracoxib), which are both prescribed in other countries, have been rejected by the FDA. Prexige was removed from the market in Australia and Canada due to related liver complications. COX-2 inhibitors target pain and inflammation with fewer gastrointestinal side effects. They also don't seem to affect platelets the way non-selective NSAIDs do, which means that COX-2 inhibitors may not increase bleeding risk as much as COX-1 inhibitors when used with blood thinners, like warfarin. As such, your doctor may prescribe a COX-2 inhibitor instead of a traditional NSAID if you need both inflammation and pain relief, are on blood thinners, and/or have had ulcers or gastrointestinal bleeding or you're at risk for these issues. If you simply need pain relief, Tylenol (acetaminophen) may be considered instead. Your increased risk of heart attack or stroke can start within the first few weeks that you use an NSAID, but it may be higher the longer you use the medication, as well as at higher doses. Though it used to be believed that all NSAIDs had the same risk, it's now unclear if certain NSAIDs (including Celebrex) have a higher risk of heart attack or stroke than others. The increased risk of heart attack or stroke from using NSAIDs applies to everyone, with or without heart disease or its risk factors. If you have heart disease or risk factors for heart disease, your risk of heart attack or stroke is higher after using an NSAID than it is for people without the same risk factors. Being treated with NSAIDs after you have a first heart attack is associated with a higher risk of death in the first year than for peers who aren't treated with NSAIDs. While NSAIDs and COX-2 inhibitors are both considered significant treatment options for osteoarthritis, rheumatoid arthritis, and ankylosing spondylitis, the benefits and risks must be considered for each individual. Your personal cardiac risk, as well as your medical history, age, and current medications, will help determine the best type of NSAID to treat your arthritis. 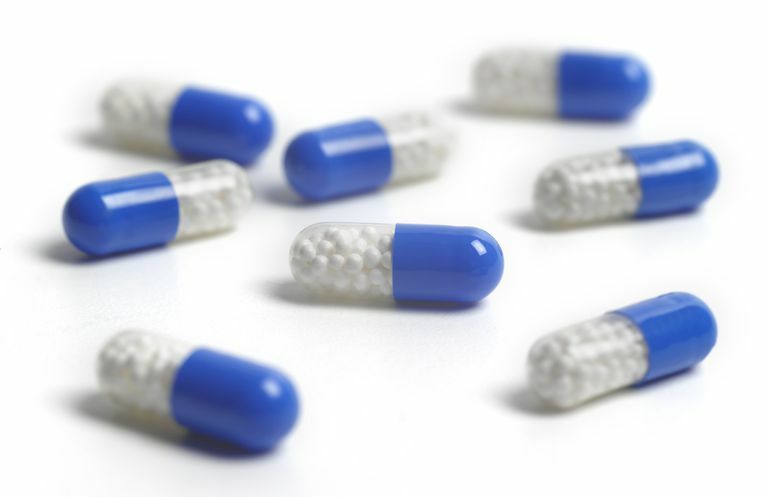 Is Celebrex the Safest Anti-Inflammatory Drug?